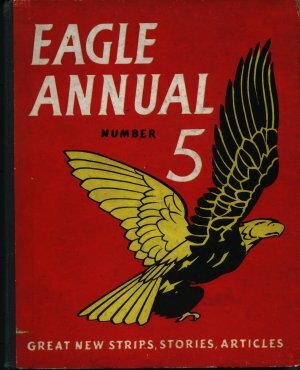 1955's Eagle Annual Number 5 continued the tradition for the 1956 season with its broad selection of adventure, sport, science and fun articles. You can even learn how to make a rope ladder -- just what every boy needed ! Dimensions : 21cm x 26cm with 176 pages.